Astro Nora has crash landed on a distant planet! Help her build her rocket to get back home by answering the addition and subtraction questions. Every time you answer a question correctly you earn some ‘Alien Burp’ coins. Spend them wisely at the burp shop! — Made especially for Foundation Stage – Year 2 children. — Follows the Statutory Framework for Early Years Foundation Stage and the New National Curriculum for KS1 children. — Made by me, Miss Ward, a Primary School teacher. — 4 difficulty levels which include a bank of over 800 questions. These levels start off quite simple but gradually become trickier and trickier. — A final extra hard level based on the new Year 3 National Curriculum. — Children are encouraged to use their mental maths skills but are given the opportunity to use a number line/100 square until the numbers become very large. — The game has been tried and tested with children, and has been proven to engage those children who struggle with maths as well as those who are high fliers. 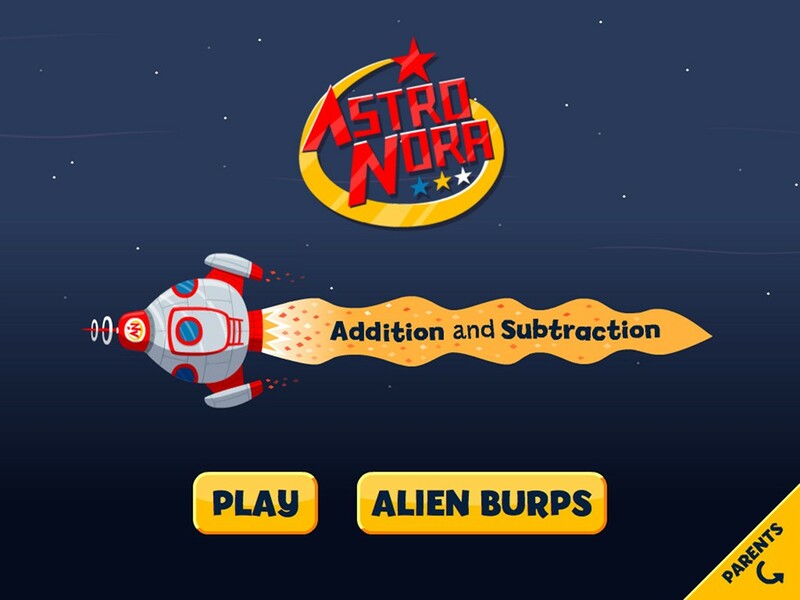 Visit the Astro Nora microsite for more info and resources.